The winners of Health Innovation Hub Ireland’s call aimed at companies, start-ups, SMEs, who have innovative products or services that are at pre-commercial or late development phase with the potential to significantly affect healthcare, are announced today. There was a 58% increase in applications to the HIHI national call compared to 2016 when it ran previously, with almost half being connected health solutions. Of 70 applications, 40 made it through to the pitch panels late last year, which included experts from HSE, Enterprise Ireland (EI), HRB, Department of Business, Enterprise and Innovation (DBEI), Department of Health, clinicians, and industry. There were 25 winners and HIHI will now match companies with relevant clinical teams, overseeing a study of each product in an Irish clinical setting. These pilot and clinical validation studies provide critical test beds to support Irish companies going to market and can identify any further refinements in the development cycle. The winning companies range from self-funded to current revenue generators. Others such as ILI – Independent Living Ireland Limited, a digital re-enablement pilot programme which allows older people to return home sooner from hospital have €65K seed funding from Cork County Council SBIR programme. 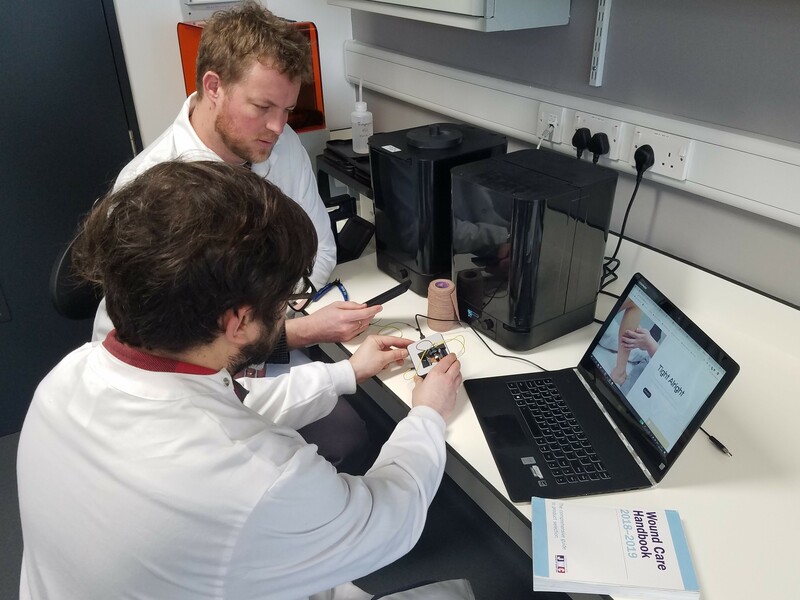 Feeltect a medical device company producing an adjustable, ‘smart’ compression device for venous leg ulcers (VLUs) is funded through an EI commercialisation fund and engagement platform myPatientSpace Limited won the EI competitive start up fund last year. Full list of winners here. “What we have seen across the Irish med tech sector is enormous growth and progress in the ‘enterprise of health’ but entrepreneurs and businesses pre-HIHI, very much siloed from the ‘health sector’. Irish start-ups were taking their products elsewhere as they simply could not access our health system to develop and test. Ireland was missing out. HIHI is a joint government initiative of both the Department of Business, Enterprise and Innovation (DBEI) and the Department of Health (DoH), funded through Enterprise Ireland and supported by HSE. The support of both DoH and the HSE means HIHI is uniquely placed to facilitate industry interaction with the healthcare sector. HIHI drives collaboration between the Irish health service and enterprise, developing new healthcare technologies, products and services such as those seen in today’s announcement. HIHI started as a demonstrator hub in 2013, launched officially in Cork in September 2016 and in 2018 opened doors in both Dublin and Galway.